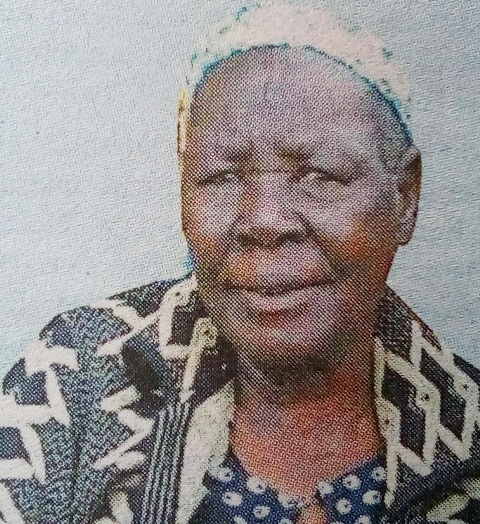 It is with great sorrow that we announce the passing on of Mama Hellen Moke Misiga of Mwamanyara, Itumbe, Kegogi Marani subcounty Kisii County, who passed on 5th February 2019 at Christ Hospital Kisii. Daughter of late Onchonga Nyamongo and the late Moraa Onchonga. Sister of Maina, the late Bitutu Mogere, the late Nyarinda, Monyoncho, the late Zablon, Guto,the late Zedekia, Momanyi and Mosero. Sisiter-in-law of the late Ondari, Nyabisi, Moraa, Kerubo, Maria, Nyanchama, Manyara, Onyiego, Obino, Mochache (all late), Nyameta and Jemima. Wife of Misiga Nyameta. Co-wife of the late Pacifica Misiga. Mother of Jeremy Okiri, John Misiga, the late Nemwel Misiga, Biriah Nyaboke,Ann Nyakerario, Jeriah Kerubo, Florence Kemunto and Peter Nyakeri, the late Kanisa, Birishira, the late Gechemba, and Keremensia. Mother-in-law of Florence Moraa, Martha Nyamusi, Florence Kerubo, Lilian Moraa, Manwa, Mwebi, Misiani, Nyangaresi, the late Atemba, the late Nyaboga, the late Keboga and Omechi. 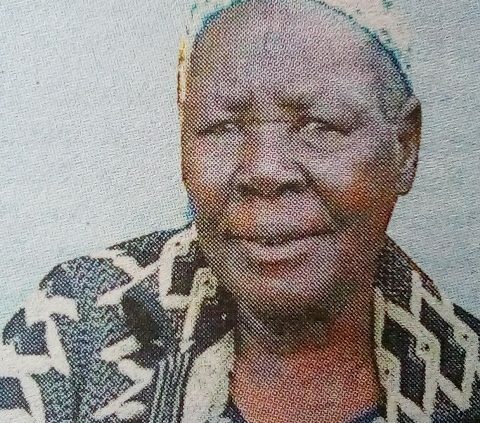 Grandmother of Peter Nyakeri, Manyara, Damalice, Robina, Nyabisi, Kerubo, Lilian, Acob, Evan, Jones, Rose, Denis, Nyabisi, Zablon, Edinah, Eric, Job, Geoffrey, Osoro, Ombwori, Britney, Misiga, Sarah, Joseph, David, Brian, Marigi, Onyiego, Kennedy, Peter and many others. Korera of the late Ondari, Kenguru, the late Nyabando, Mororia, Ariemo, the late Nyamesa Nyanchoka, Bilia Nyangau Oruko and the late Rioba. Aunt of the late James, Dickson, Kanisa, Ongera, Nyabando, Obino, the Okiris’, Orina, the late Kianga and many others. The body is at Christa Marianne Hospital, burial will take place on 15/2/2019 at Itumbe village, Nyakoora Sub-location, Kegogi location, Marani Sub-county. For any assistance call 0720720452 – Donations should be sent to 0720720452. May the Almighty Keep her soul in eternal peace. Amen!